BEST PRICE! 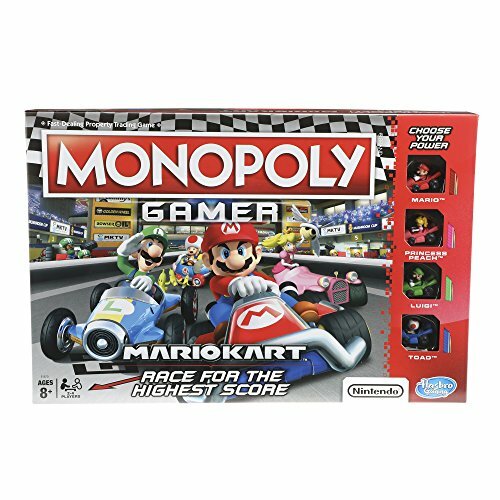 Monopoly Gamer Mario Kart ONLY $14.30! Score a GREAT DEAL on the Monopoly Gamer Mario Kart today for only $14.30 from Amazon! You will get FREE Shipping if you are a Prime member! If you are not an Amazon Prime member you can grab a FREE 30-Day Trial HERE! Get the all the Details of this deal below! Includes gameboard, 4 Character tokens, 4 Character cards, 4 Reminder cards, 8 Grand Prix cards, 16 Title Deed cards, 5 Banana tokens, 1 Numbered Die 1 Power-Up die, 90 coins, and game guide. Ages 8 and up. For 2-4 players. 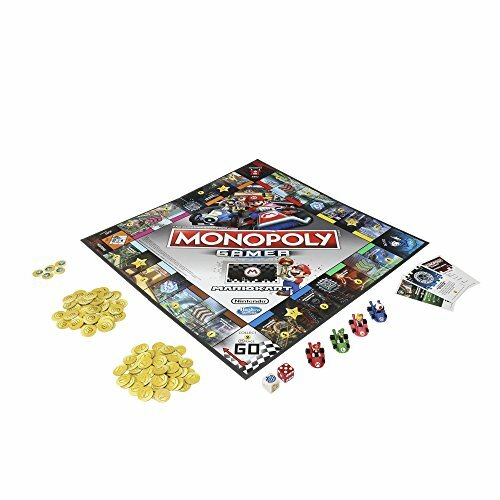 This sequel to the Monopoly Gamer board game joins forces with Nintendo Mario Kart characters and elements. Move around the gameboard as Mario, Princess Peach, Luigi, or Toad; buy iconic Mario Kart properties such as Bowser’s Castle, and Rainbow Road. Pass Go to trigger a race from Mario Kart Cup, dodge banana peel tokens, toss shells, and collect Coins. A Super Star space activates special abilities and rolling the Power-Up Die adds a special boost. Winning in this game is all about winning races! Who will end up with the coveted Grand Prix card? When the final race is over, the player with the highest score wins. TM and Copyright 2018 Nintendo. The Hasbro Gaming, Parker Brothers, and Monopoly names and logos, the distinctive design of the gameboard, the four corner squares, the Mr. Monopoly name and character, as well as each of the distinctive elements of the board and playing pieces are trademarks of Hasbro for its property trading game and game equipment. Don’t miss this deal at Amazon Today on the Monopoly Gamer Mario Kart for only $14.30! Previous Post: Nice Deal on Frigo Cheese Heads Cheese & Meat Combo Pack @ Target! Next Post: 12 Safe & Non-Toxic Face and Body Crayons – Halloween Makeup ONLY $7.98!